Chennai-based ISL franchise Chennai Titans are reportedly in talks with World-Cup winner Ronaldinho. The Brazilian, regarded as one of the best footballers of his generation, is said to be interested in a short-term stint at the Chennai ISL club, before moving to the MLS in the new year. 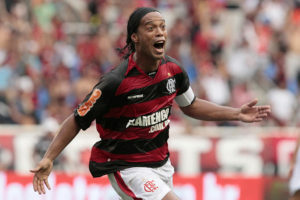 A two-time FIFA World Player of the Year, Ronaldinho is adored by fans for his technique and tricks on the field, coupled with his carefree and relaxed attitude while performing at the highest level. Chennai Titans securing the signature of Ronaldinho would be another massive win for the inaugural Indian Super League competition, coming off the back of Delhi Dynamo’s announcement they signed Italian legend and World-Cup winner Alessandro Del Piero. Having scored 273 goals in 684 appearances across his club career, and an impressive 33 goals in 97 international appearances, the Brazilian’s firepower up front would surely have other ISL squads looking to bolster their defensive lines. Throughout his illustrious career Ronaldinho won multiple titles and awards in major football across the world, including the Copa América, the World Cup, Serie A, Ballon d’Or, La Liga and the UEFA Champions League. No doubt Ronaldinho will be seeking to make a massive impact with Chennai Titans, and add the inaugural Indian Super League title to his list of conquests. Should Ronaldinho join the inaugural Indian Super League season he’ll join a host of superstars already signed in the league include Italian World-Cup winner Del Piero, Arsenal legends Robert Pires and Freddie Ljungberg, Juventus star David Trezeguet and German defensive stalwart Manuel Friedrich.